Oral surgery is a common method for treating a wide range of dental issues. Wisdom teeth affect most of us and can often cause problems. If your children have braces, it might be necessary to remove some teeth to improve the results. Or maybe you have decaying teeth that you need to have taken out. 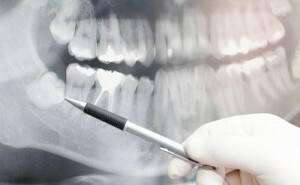 Whatever the situation, oral surgery might represent an effective solution. We understand that this procedure can cause anxiety in some patients, but you can trust in our expertise and caring staff to provide you with a pleasant experience. Ongoing training, many years of experience and the newest technology mean that Cathedral Dental is your best option for oral surgery. We were the first clinic in Geraldton to offer oral surgery under sedation. Placing your trust in us is the first important step. If you opt to undergo the surgery with us, we will put you at ease so that you can relax during the procedure. We utilise cutting-edge technology for all of our surgical procedures from wisdom tooth extraction to bone grafting and dental implants. In all cases, we will sit down to assess your situation first and discuss with you the various options available. Please get in touch if you would like to improve your smile!